Scott has been around boats all his life: sailing dinghies from 4 years old, building boats from 6, he has owned sailing yachts and skippered motor yachts. 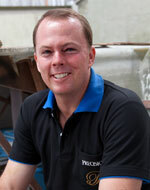 He started his own yacht repair facility in Thailand in 1997 and became a qualified Shipwright in 1988. In 2006 he founded East Marine, the marine equipment distributor and chandlery located next door to the Precision facilities. 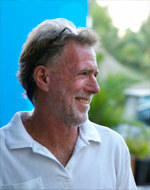 David has lived aboard his 43' S&S-designed yacht for 33 years following a life always on and around boats. His racing days began in the Isle of Wight when just 7 years old and his first Pacific crossing was in 1973. He loves "string", and has for as long as he can remember. He recently invented a rope snap shackle. David has been working for Precision since 2004. Soo was the factory manager for the Hans Christian Yacht group in Taiwan for 14 years before moving to their plant in Pattaya, where he stayed a further 7 years. Then, after 4 years at Silver Wave Marine (Japan, Thailand & Myanmar) and 3 years at Bakri Cono in Pattaya he came to Precision Shipwright in 2005. 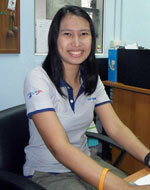 Ratt worked for 4 1/2 years as a secretary at Assumption University in Bangkok before coming to Precision in 2008. 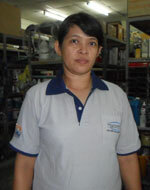 Ton was working in Boat Lagoon for 2 years with wood and fiberglass, before coming to Precision in 2010. 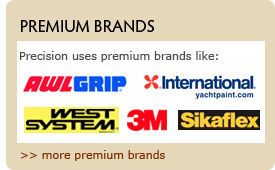 Pai began at Precision Shipwright Services in 2011.